We have all heard of the term shin splints, and may have personally experienced it at some point. This could occur when either starting a new exercise program, or when increasing your exercise load significantly over a short period. An event leaving many people despondent and frustrated during this time. 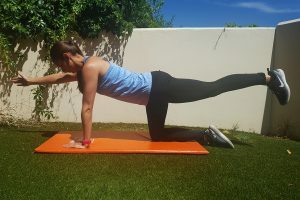 It is considered one the most common physical activity injuries and the most common lower leg injury, and accounts for 13 to 17 % of all running related injuries. 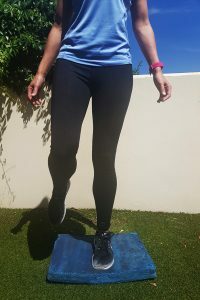 But what is shin splints, what brings it about, can it be prevented and how would you treat it? Shin splints, also known as medial tibial stress syndrome (MTSS), is a term that is used to describe pain in the front of the lower leg. It is an inflammatory condition brought on by repetitive trauma and affects the muscle tissue and tendons surrounding the tibia, as well as bone tissue. The pain can be described as either a dull or aching pain, but can develop into a sharp pain and would usually cover a large area of the lower leg. Pain might be worse during or after exercise, and usually will subside with rest. However, pain may continue after you have stopped exercising and might be a sign of a stress fracture. The shin area will also be sore and tender, and some swelling might be noticeable. The good news is that if you have developed shin splints due to any of the above reasons, you will be able to treat your pain without needing to see your doctor. First and foremost, it is a good idea to take a break from the activity that caused the discomfort in the first place. This is due to it being an overuse injury. Therefore, stop the repetitive movement that has been impacting the lower leg. Your rest period can be anywhere between 2 to 6 weeks. 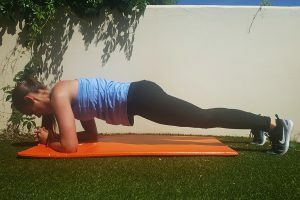 Should you not want to sit with your feet up on the couch all day long, but still maintain your fitness level, turn to alternative low impact activities such as swimming (see our blog from last month: ‘Aquatic training for runners to supplement your program’), stationary bicycle or yoga. You can also make use of ice to reduce pain and swelling in the area. Apply ice for 10 to 15 minutes at a time, every several hours for the first few days. Non-steroidal anti-inflammatory drugs (ibuprofen, aspirin, etc.) can also be used to alleviate pain and swelling. It is always advised to check with your doctor before taking any medication. Once you have dealt with the pain and swelling, it is advisable to consider changes to prevent you from developing shin splints in the future. It would be a good idea to start with your shoes. Have a look to see if your shoes are providing you with enough support and cushioning. Furthermore, make sure that your shoes are the correct type of shoes for your feet. Consider whether you are flat footed or have a high arch. If you are unsure whether or not your shoes are correct, you can book an appointment with a podiatrist. They can help you with either shoe selection or provide you with inserts that you can put into your shoes. You are finally having less or no pain and want to get back into the activity that you had to sit out from for the last few weeks, but it is important not to make the same mistakes again. When restarting running, basketball or any activity make sure that you return gradually to training. Start off with a lower intensity or duration and built this up over time. It is also important to change the activities you are doing, as to not overuse or have consistent impact on the same structures. Alternate your days with swimming or cycling, or any other low impact activities and make sure to give yourself some rest days as well, this will allow your body the time it needs to recover. 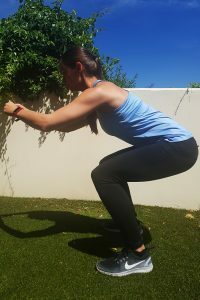 Another aspect to work on would be strengthening weak areas, such as your core, glutes and ankles and stretching tight areas (for example your calves). See below some exercises and stretches to get you started. If you are unsure of where to start and what to do, make an appointment to see a biokineticist who will be able to guide you through this.